Today I want to talk about four different ways that you can seek out your passion in life. How you can find that thing that you really want to do in life. 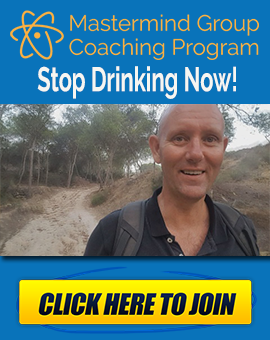 What do you want to learn, which direction do you want your life to take after you’ve quit drinking? I think focus is very important. I think you can focus your mind on just too many things when you’re setting long term goals. I think you should broaden your horizons and think about goals in terms of the different areas of your life. Consider goals in terms of your relationships, education, career, hobbies, and your interests. When it comes to finding something that’s going to take you forwards, take you by the scruff of your neck and drag you forwards, pull you forwards and away from alcohol – you can’t beat having a passion. What is a passion? What is your passion? A little while ago, I saw a clip of a very young Jim Carey, when I was looking at some funny videos. I think he’s about 20 years of age in this clip and he’s just talking about the reasons why he gets up on stage and does what he does, take a look. There’s no feeling like being up in front of an audience, when you go crazy and you really put something out and everybody goes [noise] off the edge of their seat and they cheer for you and stuff like that, there is no feeling like that, it’s just so different it can’t even be compared, it’s just that all my life, all my life I really wanted to do this so it doesn’t seem like I’ve been in the Business for a short time it’s all I ever wanted to do, it’s all I’ve ever done. Wasn’t it a nice video? All he wanted, was to be a funny man. That’s all he wanted to do since his youngest days and he’s brought that into everything he’s done. I once heard a story from Jim Carey. I think it started with him being on the top of a hill, overlooking the Hollywood Sign. He was in his parked car and he wrote himself a cheque for one million dollars. He put the cheque in his pocket and every day, he kept saying to himself – ‘One day, one day, someone’s going to offer me a million dollars.’ And he kept carrying it around and the date on the cheque, from memory, was almost the time when he got his first million dollar contract for a movie. Such a great story. To me, passion is what’s get me up in the morning, what gives me a buzz to start working and to start doing stuff. This is my passion. I love making these videos, I love writing. I love the process of thinking up ideas and putting them down on paper and trying to craft those ideas into something that I’m pleased with. It’s something that I’m trying to develop gradually. I’m nowhere near where I want to be, but I think the only way to do it, is to do it. The only way to be a good author is to author books. The only way to be a good speaker, is to speak. The only way to get good at making videos, is to make videos. It’s why I’m starting to add in new little bits and try out new things and if you like these new things, let me know in the comments. If you want to see more of these videos with clips of people in them, I’ll give you another one in a minute, then let me know and let me know who you want me to put in. That’s what passion is for me, it’s just getting up with that buzz, that will keep me working throughout the day. I have to be told to stop in the evening, either by Esther or by my tiredness, when I just can’t think or do any more. For me passion is not about getting $100000 a year, earning a million dollars, or getting one hundred thousand a week – which is what some of our Footballers get. One of our footballers is getting two hundred thousand a week and I don’t think he’s the highest paid, but at the end of the day you can see the passion in these individuals who are at the top of their game and they are where they are, because they have a passion for what they do. It’s nice to have money, I’m not saying anything against it, without money you can do very little in this life, you need money to eat, survive and all that type of stuff. But if you’ve got a passion, a passion will drive you forward and it will give you a lot of success – a quicker success – than a desire for money every will. This next clip is from a Guy called Chris Gardner, he’s the subject of a movie starring Will Smith called ‘The Pursuit of Happiness’ and it’s based on the real life guy, Chris Gardner who was homeless whilst he was bringing up his very young Son. I think his Son was four years of age, three or four and he was homeless and he went from being homeless to getting a Job, a Career as a Stoke Broker and from there, he formed his own Company which he sold for multi millions. So now he is a multi millionaire, and all because he had a passion, listen to this clip. The biggest trigger in my life was the recent loss of the love of my life to Brain Cancer. I had to be and got to have, the honour to be Holly’s primary Care Giver for the last four years of her life and one of the things that she and I talked about a great deal, the last part, was her saying and asking me, ‘Well now that we can see how short life really can be, what are you going to do with the rest of your life?’ That’s a trigger. That’s the biggest trigger that I have ever experienced. What are you going to do with the rest of your life? And what I had to do, was, I had to start taking some of my own advice, I have been telling people. I had written about it for very long time, that if you’re doing something that you’re not totally committed to, if you’re doing something that you’re not totally passionate about, you’re compromising yourself every day. I had given other people that advise it, was time for me to live it. So, Chris was talking about the triggers in his life which sort of forced him to confront reality. Being homeless with his child was one thing, finding out that his lifelong love had Cancer and then watching her die of Cancer is another thing. It refocused his mind and I think these type of things -like where you are now with your alcohol – can focus your mind as well. I think it can make you think about things. It’s why you’re here, it’s why you’re quitting drinking, it’s why you have quit drinking, because you’ve seen what life without alcohol is offering you. You know that there’s something different for you in life. 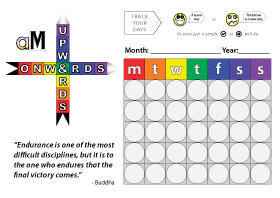 These things are your own triggers, they’re your own personal triggers that are motivating you to move forward. 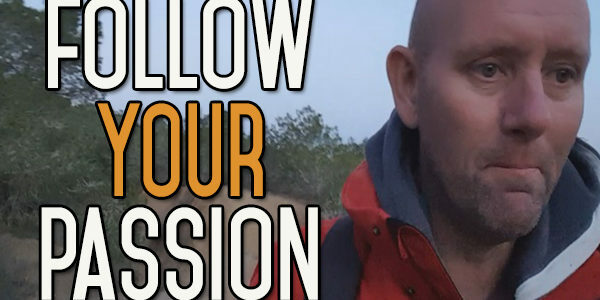 So how do you find your passion in life? What if you don’t have one? What if you can’t think of one? The answer is really you have to find one, you’ve got no alternative, it’s as simple as that. You’ve got to look for that passion, you’ve got to find something that will drag you by the balls and get you up in the morning, drag you by the shirt collar and get you up in the morning. I can give you four tips to help you out. One of them is to try as many different things that you can. Try as many different things as you can and as soon as one is not working, when you feel that it is not working, that it’s not giving you a buzz – quit – give it up, life is short, it’s too short to be hanging on to things and pushing things forward if it’s not doing it for you. I spend a lot of time, thinking about this, and thinking about different options. Have a list of things you want to try and try them! Start with the things you feel once gave you a passion, start with the ideas that you think have the best chance of success, but as soon as you feel something is not working for you give it up and do something different. My second tip is that – curiosity is your best friend. Be curious about everything. Carry around a notebook with you or a Dictaphone, whatever it is, but get your thoughts down on paper and remember your thoughts, otherwise, these things will disappear quicker than anything. You’ve got to have ideas in order to try different things, no matter how fanciful those ideas seem, you might think it is a stupid idea, but if it is something that you want to do – do it. There’s a story about Steve Jobs, when he was in college and he was trying out a lot of different courses and eventually he decided that he wasn’t going to do it anymore. So instead of bailing out of College, he went on a Typography Course, because he had a curiosity about typefaces. It was that curiosity that lead him to the course and he started learning about different fonts and it was that education – that early education – that was the backbone of the Apple computer. It was that, that differentiated it in the marketplace. They just had these wonderful fonts, all different fonts, where other computers just had whatever it was they were using. It was something, that it was his curiosity, that lead to that. Who would have thought that the Billionaire who started Apple Computers actually got his start from doing typefaces, creating fonts and calligraphy? So, ask yourself, what you would do it money wasn’t an object? If you had so much money in the bank that all your financial concerns were taken care of for the rest of your life, you never had to worry about it again, what would you do? If you could pursue anything in life and there weren’t any constraints to what you pursue, what would you pursue? And that’s my third tip, don’t do it for the money. Passion is never going to be found in money, money will only bring it so far, once you’ve got some money in the bank and you’re not chasing after paying the bills and making sure the kids go to school, once you’ve got all those things settled, then money just becomes a figure in the bank, it should be a secondary concern. So, what would you do if money wasn’t an object, that’s where your real passion lies. And my forth tip is how far you rise. How far you go with this, how far you take your passion in life. It is up to you, only you can take on or avoid the responsibility. Only you can take on or avoid the growth. If you say to yourself, I only want to grow so far, and I don’t want to take this past a certain level, then fair play to you, give yourself a clap on the back. That’s okay. But if you’re waiting for somebody else’s permission to do it, then that’s wrong. You have to take responsibility for your own growth, you have to take responsibility for how far you push this and it’s the only way you’re going to push yourself. I hope you like those four tips. If you have any questions at all, leave them down below in the comment section. 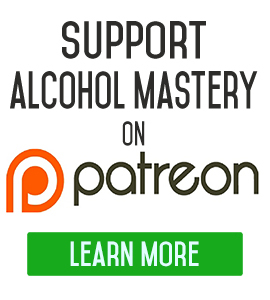 If you come over to the website and sign up for the Alcohol Mastery newsletter, you get a free daily email into your inbox with a video, trying to help you, inspire yourself and motivate you, to overcome obstacles, to get past alcohol and what to do once you get past alcohol onto your new journey. Great episode Kevin! I totally agree that finding and following your passion(s) in life is the essence of what creates true happiness. We all have at least one specific interest in life that can form the basis for a “passion” and so long as it does nobody else any harm, the best thing you can do for yourself is to pursue that which you are passionate about. I sincerely believe that too many people are actually afraid to admit and commit to their specific passion(s) because something inside them inherently inhibits their making any changes to their lifestyle. Some sort of self-defense type of mechanism that says “well I never did that before so therefore it must be dangerous or at least risky”. 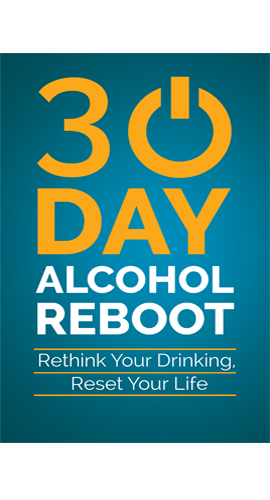 Exactly the same roadblock we faced when considering eliminating the use of alcohol in our lives. One of my favorite videos by far. Very inspirational Kevin. Thank you for sharing.